Android 4.0.4 has started rolling out on Wifi-only Motorola Xoom tablets, as well as GSM Nexus S and Galaxy Nexus phones, Google has confirmed. The new version of Android, which has been described as an "incremental update" by Google engineer Jean-Baptiste Queru, is said to include "stability improvements, better camera performance, smoother screen rotation, improved phone number recognition and more." 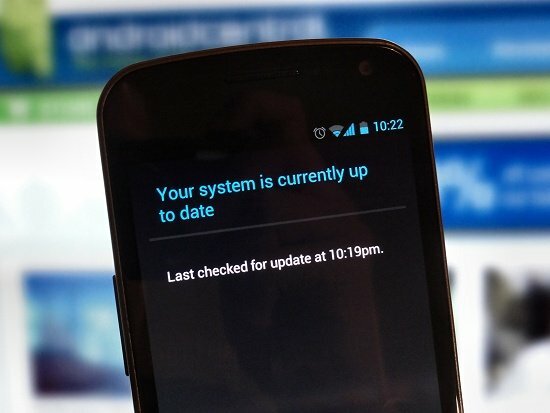 News of 4.0.4 launching on the Xoom and Nexus S (as well as AOSP) has already broken, but this is the first we've heard about the new version of ICS on the GSM/HSPA+ Galaxy Nexus. For what it's worth, none of our Galaxy Nexuses have received the update just yet, but we're sure that'll change in the hours and days ahead. No word on when this update will be arriving on the Nexus S 4G or Verizon LTE Galaxy Nexus, but Android 4.0.5 has already been tipped for an early April launch on the Verizon Nexus.